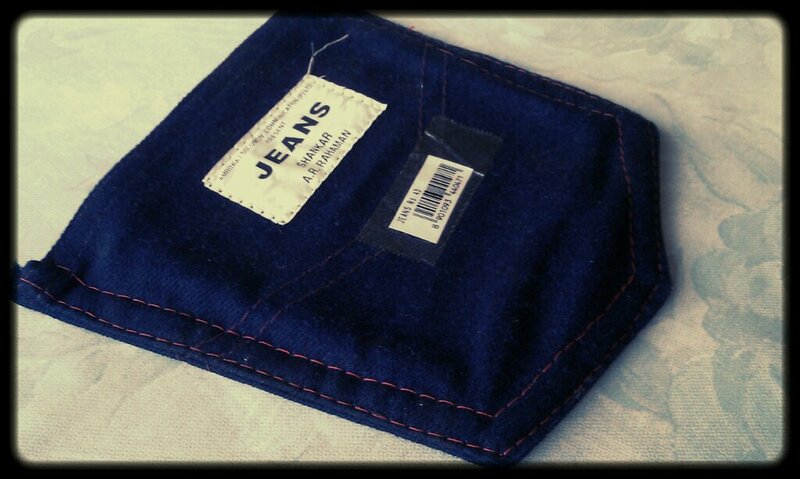 Retro Maal: ‘Jeans’ movie’s cassette cover. In 1998, the Tamil romantic hit was Jeans. It had ARR’s soul-stirring music and Aishwariya Rai at her peachy, youthful best. It also had a super cool packaging for it’s cassette. Jeans pockets, I say! 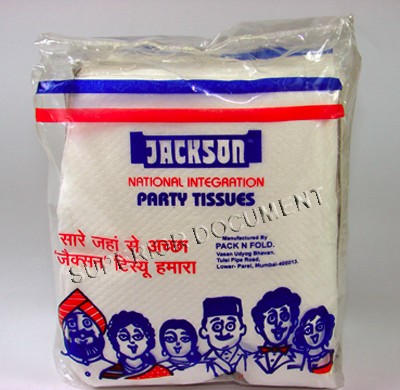 Jackson National Integration Party Tissues. Tissues that illustrated on its pack that the whole of India - Punjabis, Maharashtrians, Parsees, Goans and all - should party together for national integration and use Jackson tissues to daintily brush off any samosa crumbs. Last spotted at Patel Stores, Bandra. But available nationally for integration, we hope. 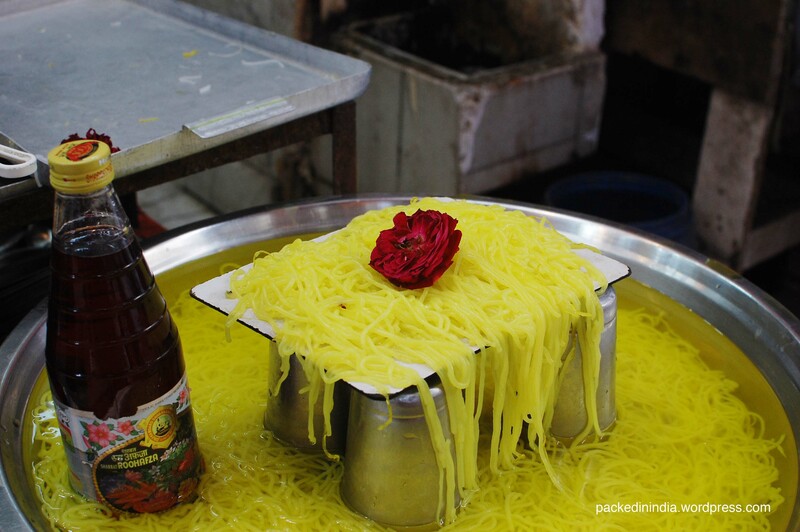 Parle G biscuits come wrapped in yellow and red wax paper, and plastic like the one featured here. The little girl with long lashes is a mystery but the biscuits are the largest selling in the world. The Russians love them just as much as they love our beaches. 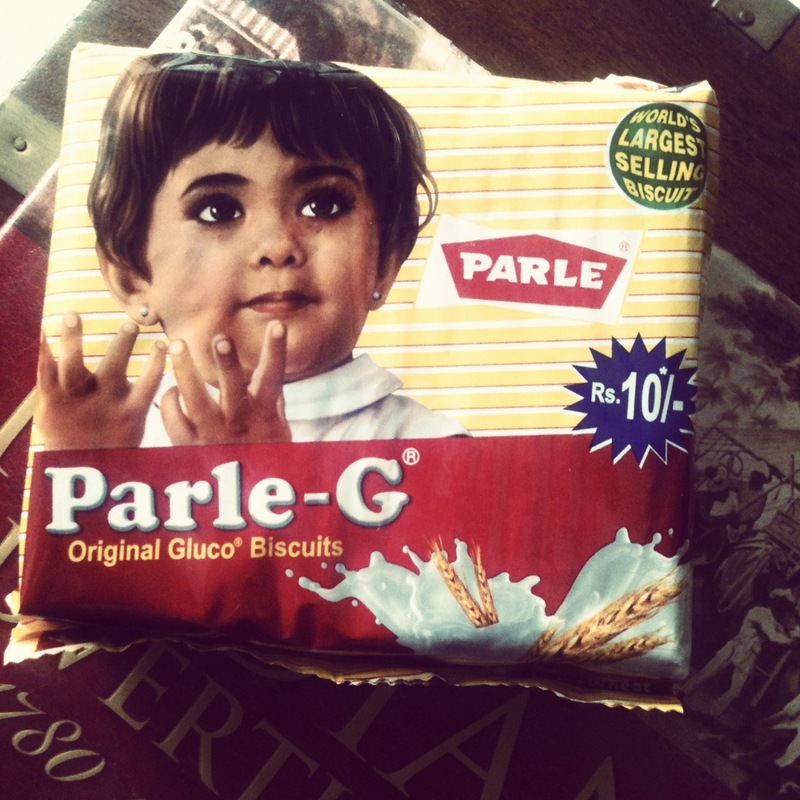 The ‘Parle’ comes from Vile Parle in Bombay where it first was packed in 1929, and the G is for Gluco. Learn something new everyday etc, huh? Available at every store, supermarket, roadside shop and even with some of ‘em ciggie/ chai shops-on-cycles. This is telephone brand Sat-isabgol. Made in North Gujarat from the seasonal psyllium husk and valued the world over, morning after morning, for its dietary fibre’y goodness. We love the nearly-neon look and the retro graphics, but most of all we love the telephone icon. We assume it means ‘dialling tummy’. Available at all stores around India.